McFarland Police Department hosting "Ice Cream with the Chief"
McFarland Police Chief Scot Kimble is hosting ice cream with the chief at the Rite Aid in Downtown McFarland Sunday afternoon. 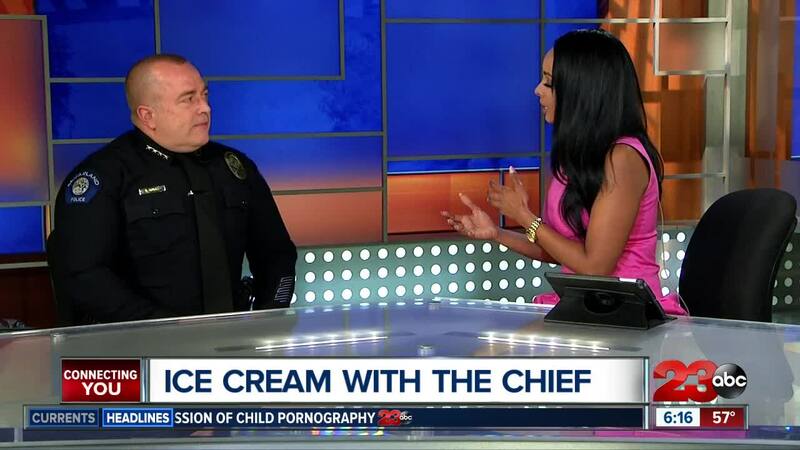 The McFarland Police Department is hosting a "Ice Cream with the Chief" event at Rite Aid on Sunday. The event gives people in McFarland the chance to meet Chief Scot Kimble and officers with the department. In the release, the department said this is a "chance to sit and talk about your community with those who protect you." The event will be held at Rite Aid at 150 W. Kern Avenue in McFarland from 12:30 p.m. to 2:30 p.m. There will be one ice cream cone per person.